Tagged under Seven Arcs, Series. A lot of Dog Days is pure insipid, you've seen this kind of story and thousand times, and furthermore, you've seen it in better-animated and better-written. The series looks and acts exactly like every other empty fantasy romance out there. Sure it's cute, but not remarkably so. Sure its optimism and simplicity may make you want to gag, but with a little effort. You know how they say that you can't look away from a train wreck? Dog Days is very similar to a train wreck, both in its speed and the totality of its ultimate destruction, but unlike the wreck, it's all too easy to look away from. And that's death for a television series. My favourite anime ever. DOG DAYS is fabulous and full of excitement. Animation is wonderful and characters ultra-loli and lovable. (Especially squirrels ≧∇≦) I shall recommend this for everyone. 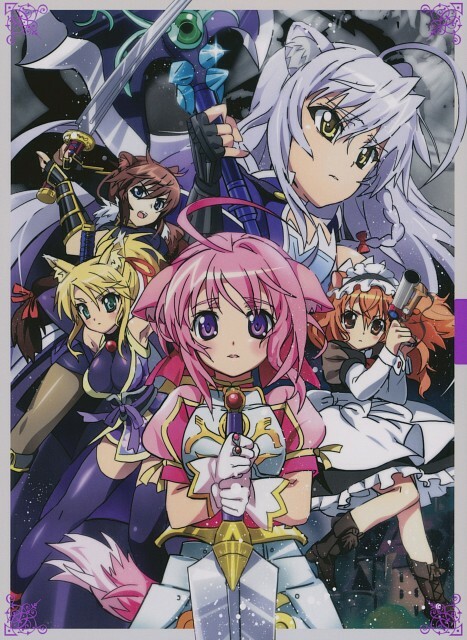 I refer to DOG DAYS a poorly titled anime with a kiddie show style of presentation. Story-wise, it's a fantasy style battle anime. A typical middle schooler, Izumi, Cinque, is brought to another world and is called the hero. He is tasked to save Republic of Biscotti from Galette. The story is fairly easy to understand and it makes me think that it targets younger audience. Character-wise, they never really made my top characters since they're not really interesting and are somehow too typical. Probably, the character that I personally liked the most is Cinque. As for the music, both OP and ED perfectly fit the anime very well having that fantasy-battle feeling to it. Background music is typical and fitting enough for the anime though nothing really stands out. As for the voice acting, hearing Miyano, Mamoru's voice is practically the main reason why I decided to watch this poorly titled anime. I have to admit that I really like Cinque mostly because of hi voice since I am a big fan of Miyano. Other than that, no one standout to me. As for he art, there isn't anything special about it. It's pretty standard and the background characters aren't given much effort like the people who join the wars, they all look the same. Other than that, I don't really have much complains. The character designs are well done and fitting for the genre of the anime. Overall, DOG DAYS is a pretty good fantasy anime to watch as a pass time. This was a fun anime to watch.The story had good turn of events.This is one of the few anime that didn't had a evil character which surprised me a bit and the idea of being defeated then being turn into animal ball was really cool.For people that has years watching anime this one is not great but for first timer I think they would enjoy it.The opening song was great!And the battle attacks too they were in high definition and could be fully appreciated. style and characters too childish. the idea about war is rather refreshing. lots of characters and relationships to comprehend in one episode. artist quality as usually very high standard. plot-wise, so far seems to be old fashioned - summoning hero character from modern world. hero character learn the way of this world, grow, falls in love, develop friendships etc etc. those being defected are so cute. Magneficant idea. Brilliant presentation and awesome voice acting.. Story line.. Yeah it is unique and of same typical idea of anime (no one is a bad guys thing ) But unlike Naruto and Bleach this anime has a HUGE quantity of FUN.